What Really Matters? Surprisingly, it is beauty—True Beauty. We have all experienced moments of True Beauty—whether seeing a field of flowers, hearing a child laugh, or feeling in harmony with everything around us. Practicing True Beauty—not to be mistaken for glamour—puts us in synchronicity with the healing of our planet as well as on the path of spiritual evolution. 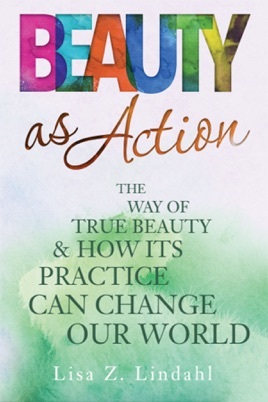 Most importantly, by learning to engage with beauty more often, we can heal our cultural dysfunctions and transform our world and our role within it to be more positive and generative. For the sake of ourselves and our world, we must act now. Beauty as Action shows us how.